Arizona is hot and dry, and most people find relief in a backyard swimming pool. Pools can be a lot of fun and a great place to cool off with family and friends, but without proper cleaning and maintenance, the dream could soon become a nightmare. At Universal Pool Service Inc, we’ve worked hard to become the preferred professional pool cleaning and repair service in our community. Our experienced pool cleaning, maintenance, and repair technicians provide top-quality service that’s prompt, reliable, and most of all, transparent. 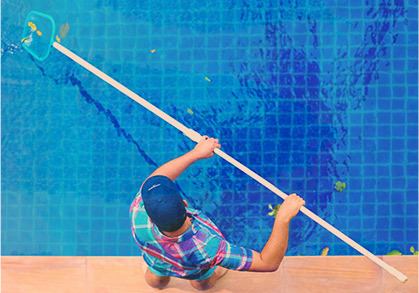 We understand that you have several choices when it comes to swimming pool maintenance in Litchfield Park, but we truly believe that Universal Pool Service provides the best combination of service and professionalism at a competitive price. Learn more about the pool services we provide in Litchfield below and contact us for your FREE QUOTE today! Chemical Service – Without proper chemical treatments, backyard swimming pools would soon become overgrown with algae and other unhealthy contaminants. When you choose this pool maintenance package, a qualified technician will check and balance your pool’s chemicals on a weekly basis. 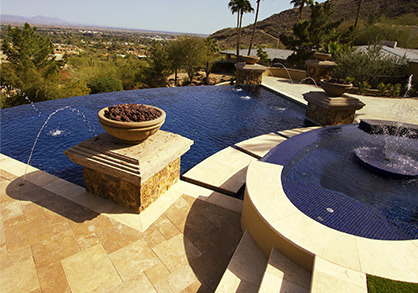 Click for Pool Chemical Service pricing. BBB Service (Brushing, Baskets, and Backwash) – Chemicals alone won’t keep your pool clean. 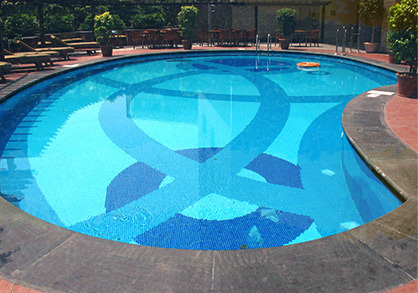 The baskets and filters that remove large debris from the water’s surface must be cleaned and recharged on a regular basis, and the sites and steps of the pool must be brushed to prevent grimey build up. Choose this service to have our technicians take care of these chores for you! Click for BBB Service pricing. Full Service – For those pool owners that don’t want to or can’t maintain their own pools, we offer this turn-key service package. You’ll enjoy weekly visits from our technicians who will check and balance your chemicals, inspect all filters and baskets, and brush the walls and stairs of your pool. It’s truly a VIP experience! Click for Full Service package pricing.